As I am far from the first to point out, Chanel Gardenia is not a gardenia at all, but rather a jasmine fragrance. Worse, Gardenia is one of those syrupy, candied jasmines. It reminds me of my favorite scene in “Hitch”, where Will Smith, following an allergic reaction to sashimi, uses a straw to drink Benadryl straight from the bottle. If there really were such a thing as a cough syrup-flavored juice box, I suspect that it would taste quite a bit like Gardenia smells. 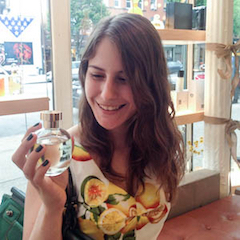 Chanel Gardenia is completely out of place with the rest of the Les Exclusifs lineup. It possesses none of the refinement and elegance of its sister Chanels. The only difference between Chanel Gardenia and your average mainstream jasmine fragrance is the $210 price tag. 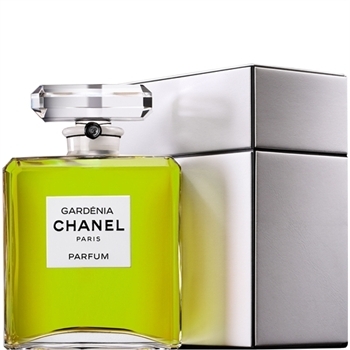 I have no doubt that Gardenia (and probably Beige, too) was added to the range to appeal to women who have no appreciation for perfumes like Bois des Iles or Cuir de Russie, but still want to own an “exclusive” Chanel. If you really must have yourself a syrupy jasmine, go for Thierry Mugler’s Alien. It’s a little less green, but it has a better price, a cooler bottle, and is quieter and therefore less goddamned obnoxious. What the heck! I’m subscribed, but I haven’t gotten a “new post” email in ages! I thought you were off extrapolating data somewhere… sigh. I cannot trust technology. Thank you Dee! I really did not like it. Apparently back in the day Gardenia was something grand, but I’m certainly not going to keep buying a perfume because it used to be good! Thank you for sharing this amazing article. Hope to hear more from you.